7/29/18. This 3 design machine sits outside on the porch of the gift shop. The machine is preloaded with brass slugs and each press costs 1 Loonie ($1 Canadian). The machine also has a slot which will punch a hole in one end, if desired. 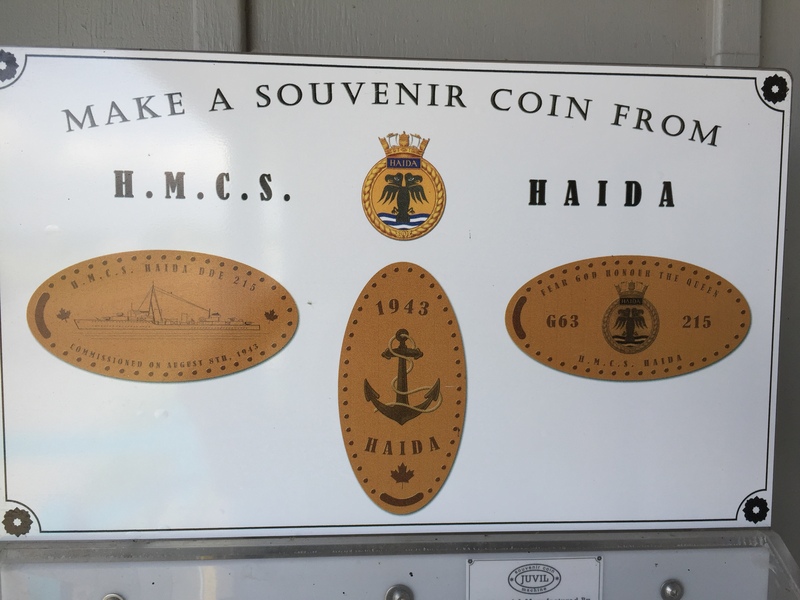 pegasuscove added HMCS Haida National Historic Site to system.